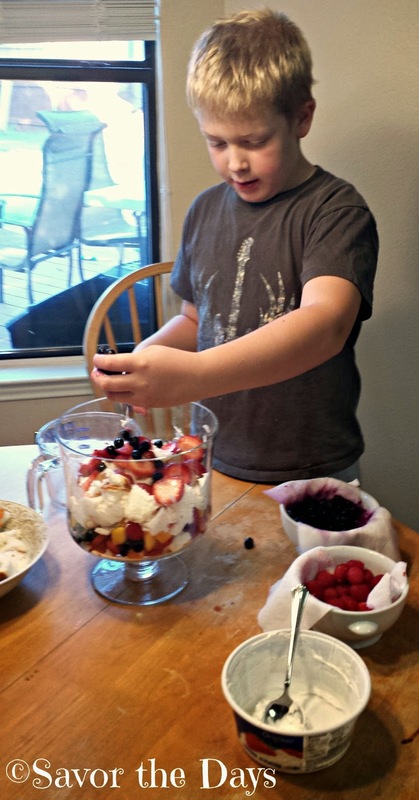 Kids love to help out in the kitchen, especially when dessert is involved! 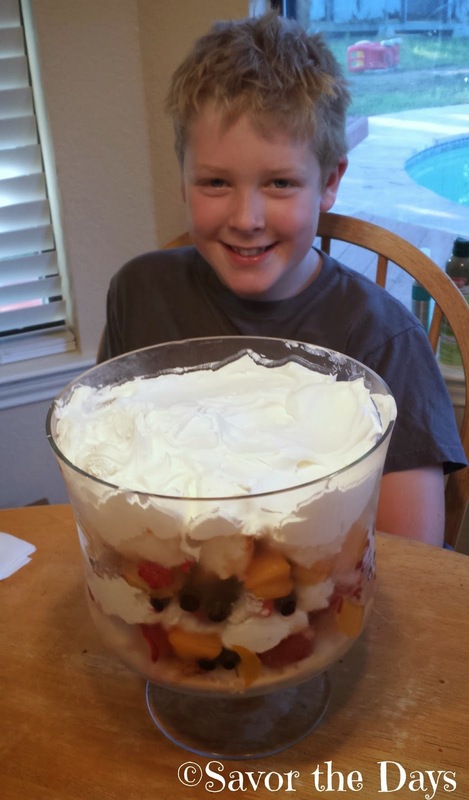 A trifle recipe makes for a delicious dessert but it is also super easy and fun for kids to make. While unpacking boxes this week, I found an old glass trifle dish that we probably haven't used in 10 years. 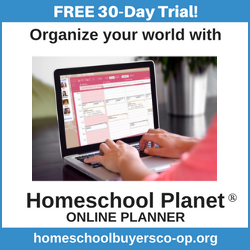 I know the saying that if you haven't used it in a year then you should probably just get rid of it because you aren't likely to use it again anytime soon. Well I really didn't want to get rid of the trifle bowl but I couldn't just stick it back in the cabinet so I decided that we should use it! Trifles are so easy to make. They are just layers of sweetness in a clear bowl to best show off the neat layers. We picked up some angel food cake, Cool Whip, fresh strawberries and blueberries, as well as a small bag each of frozen peaches and mangoes. Rachel and Nicholas worked together (I love teamwork!) on cleaning the fresh fruit and slicing the cake and fruit into "chunks". Then they took turns putting the items in the trifle bowl. They made a layer of fruit, then a layer of angel food cake, and finally a layer of Cool Whip. They repeated the layers until the bowl was full. 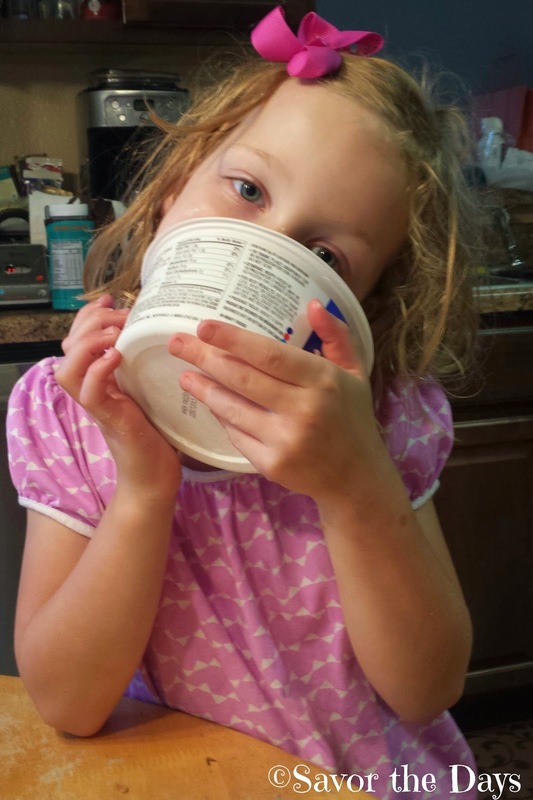 Well, someone HAD to lick the Cool Whip container clean. I mean, it just wasn't going to clean itself! You can make trifles with just about any kind of fruit and you can substitute pudding for the Cool Whip and I think pound cake would also be yummy if you didn't want to use the angel food cake.